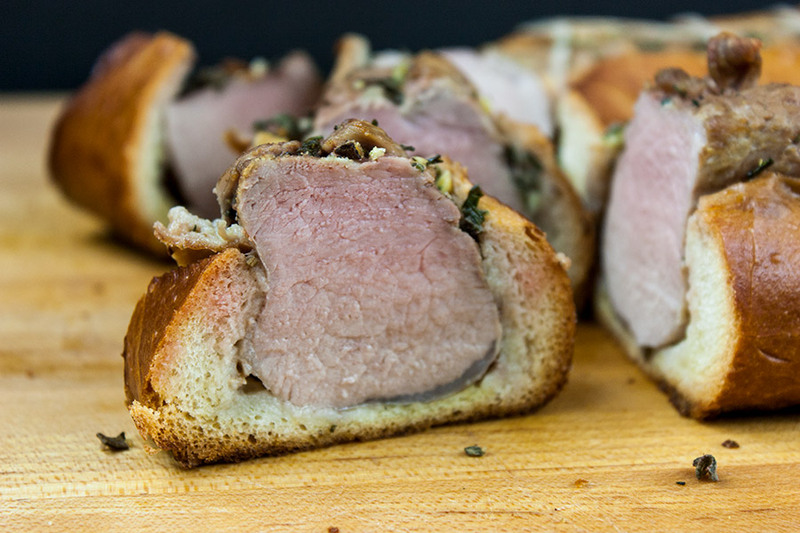 Tuscan pork tenderloin is a great dinner or appetizer. 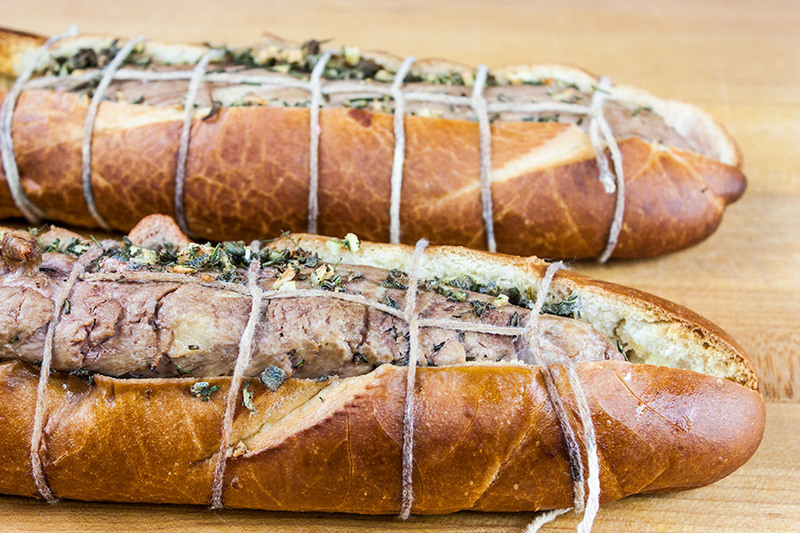 Pork tenderloin smothered in fresh herbs roasted inside a crusty baguette. Fancy and impressive yet perfect for picnics. Are you bored with the same old pork tenderloin recipe? 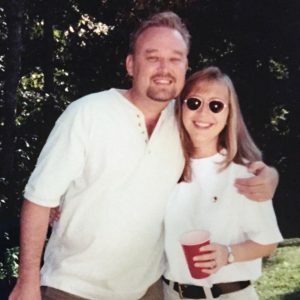 We were! Place the sage, rosemary, and garlic in a small bowl. Toss the herbs with the fresh cracked pepper, salt, and ground fennel seeds. The recipe calls for fennel pollen if you can find it. I use my herb grinder (coffee bean grinder) to grind up the fennel seeds. Heat a skillet over medium-high heat. Add 1 tablespoon of olive oil. Sear the pork, turning occasionally, until golden on all sides, 8 to 10 minutes. If your pork loins are a little on the larger size you will need to sear them a little longer to ensure they cook through in the oven. 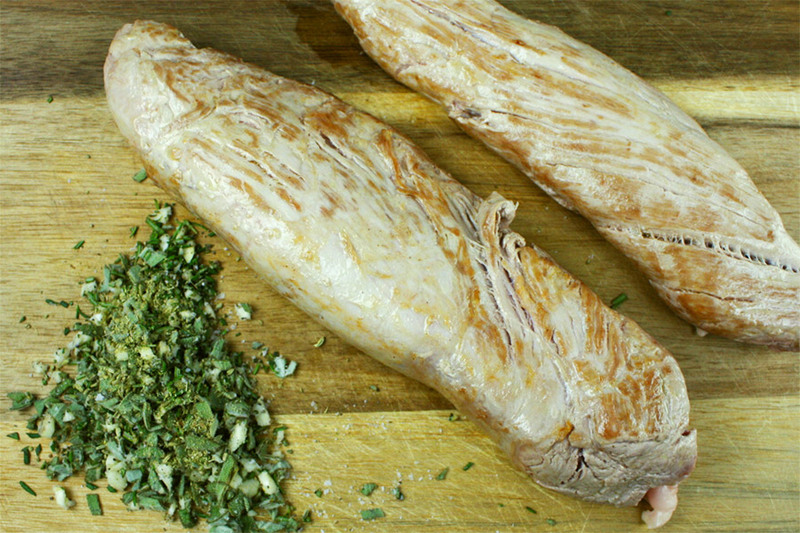 Rub the herb mixture over the entire surface of each tenderloin. Cut the baguette in half long way without cutting all the way through. Scoop out part of the soft insides. Brush the bread with 2-3 tablespoons of olive oil. 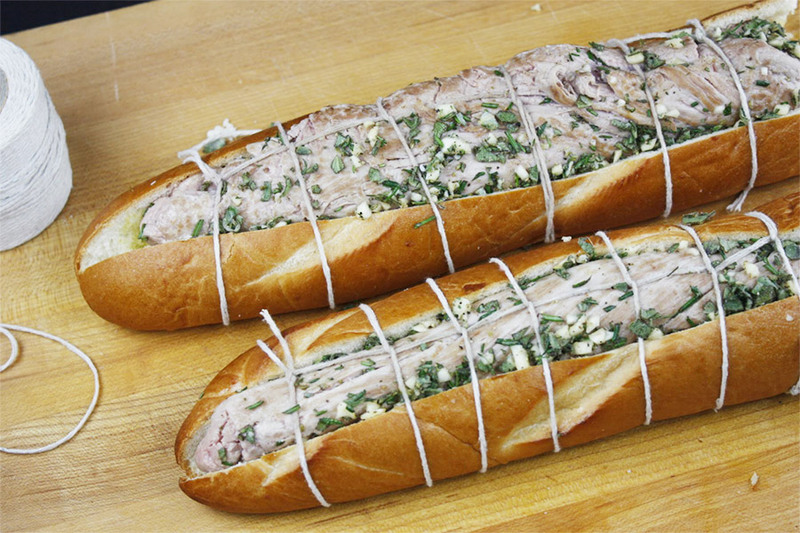 Place the pork inside, trim off excess ends of the bread and tie the baguette in 1-2″ intervals. The pork should be almost completely enclosed. You can wrap in foil if you like, but I didn’t have any trouble with the bread over baking. The bread is crunchy not burned while the center is soft, chewy and full of vibrant fresh herb flavor. If you do wrap it in foil you will want to remove it from the foil in the last few minutes of baking so the baguette becomes crusty. Place the pork on a baking sheet or shallow roasting pan. Bake in the preheated oven for 25-30 minutes or until a thermometer inserted into the thickest part reads 148ºF internal temperature. Remove from the oven, place on a cutting board and let rest for 10 minutes before slicing. Remove the string and slice into desired size medallions. What I can I say to truly impress on you guys how good this dish is and why you should try it? 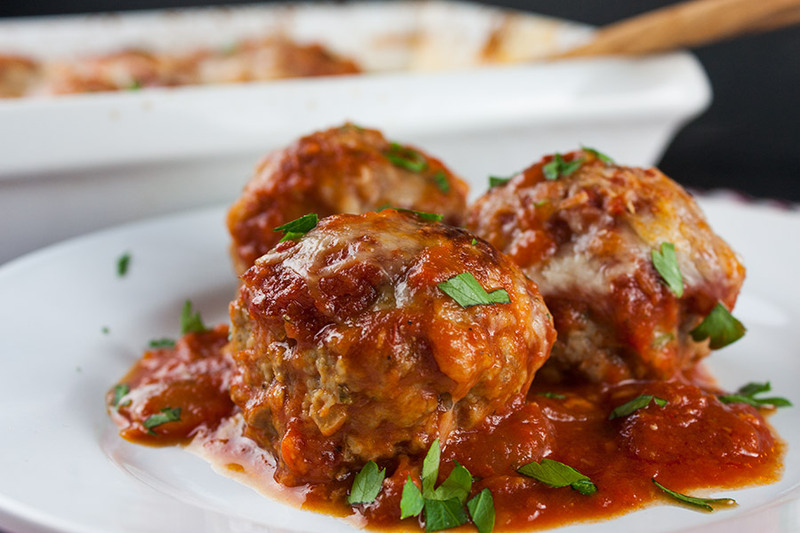 It will be one of the easiest recipes you will ever make! 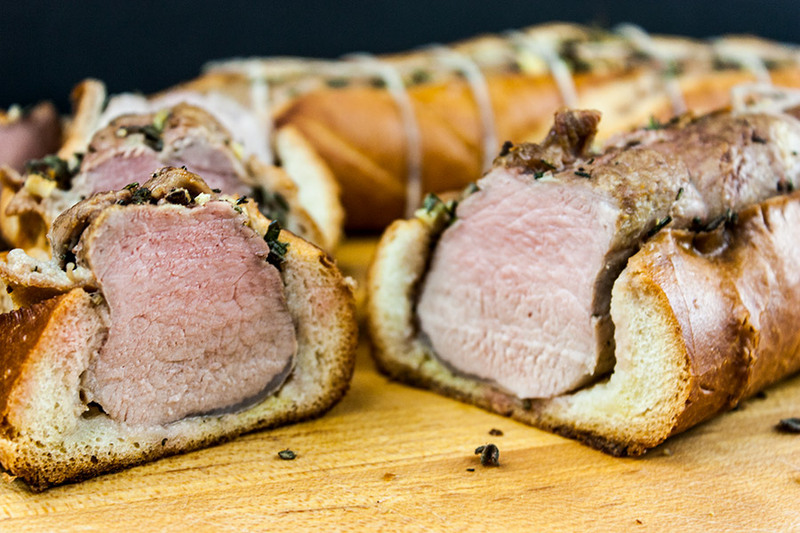 This is the best pork tenderloin we have ever eaten! It will be a regular in our house for sure. 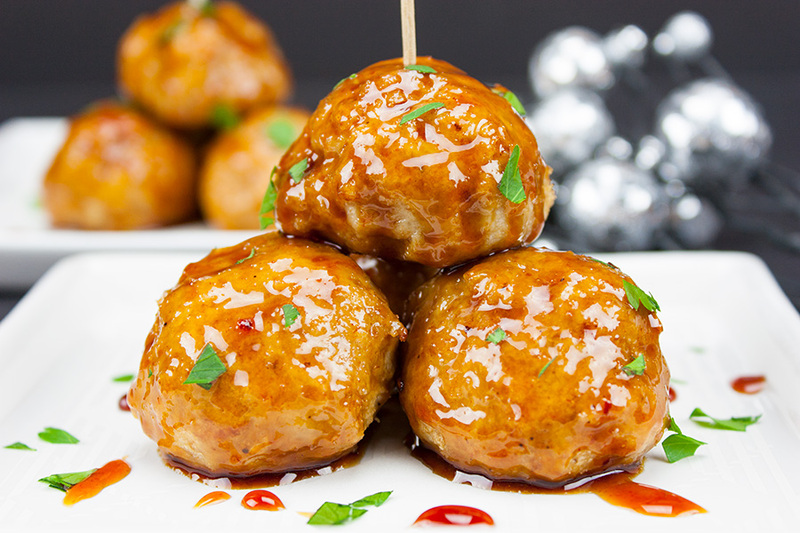 Perfect for a party appetizer too, it will knock their socks off! 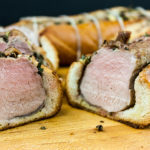 Tuscan Pork Tenderloin - Pork tenderloin smothered in fresh herbs roasted inside a crusty baguette. 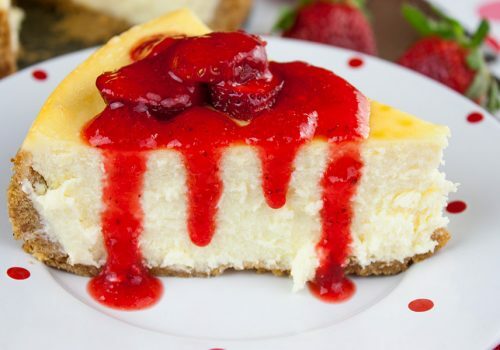 It's mouth-watering delicious! 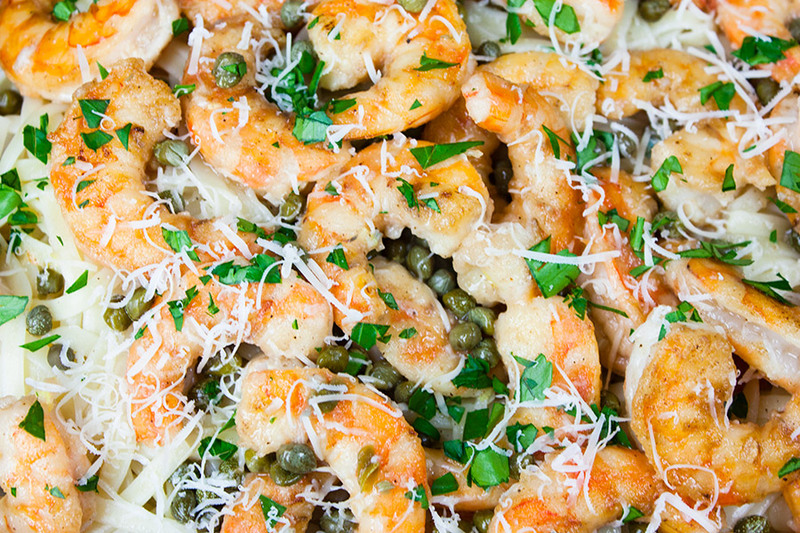 Perfect for dinner or a party appetizer that will knock their socks off. Mince the sage, rosemary, and garlic. 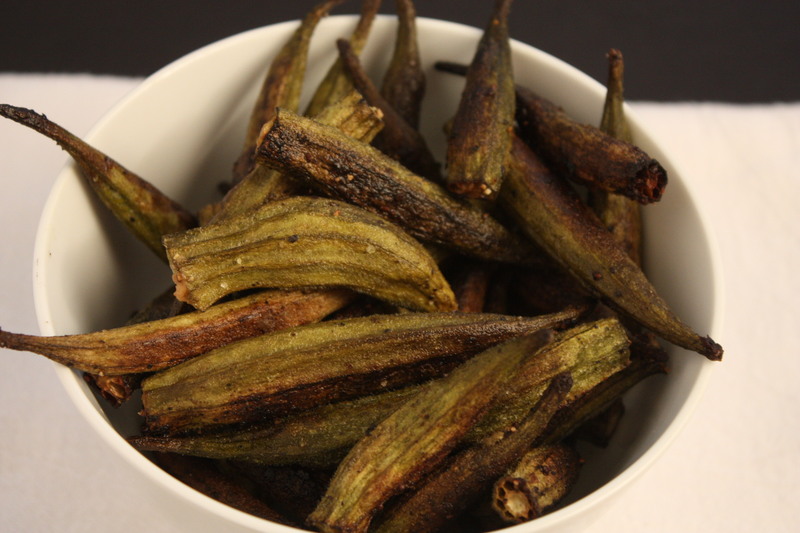 Mix in the salt, black pepper, and ground fennel seeds. Rub the pork with the herb mixture and set aside. Cut the baguette in half the long way and scoop out part of the soft insides. Brush the inside of the baguette with the remaining 3 tablespoons olive oil. Place the pork on the inside of the baguette so that the pork is almost completely enclosed. Trim off the excess ends of the bread. Tie the baguette, at 1-to 2-inch intervals, with kitchen string. Place the pork on a baking sheet and roast until done, 148°F on an instant-read thermometer inserted into the thickest part, 25 to 30 minutes. Remove from the oven, let rest 10 minutes. Remove the strings and cut into medallions. *Normally two tenderloins come in a package. We purchase a large crusty baguette that will accommodate both pieces. 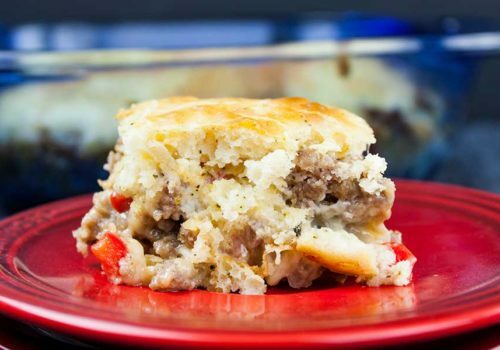 This recipe sounds really yummy! Pinned it. Thanks for sharing with us at Merry Monday. Hope to see you next week!